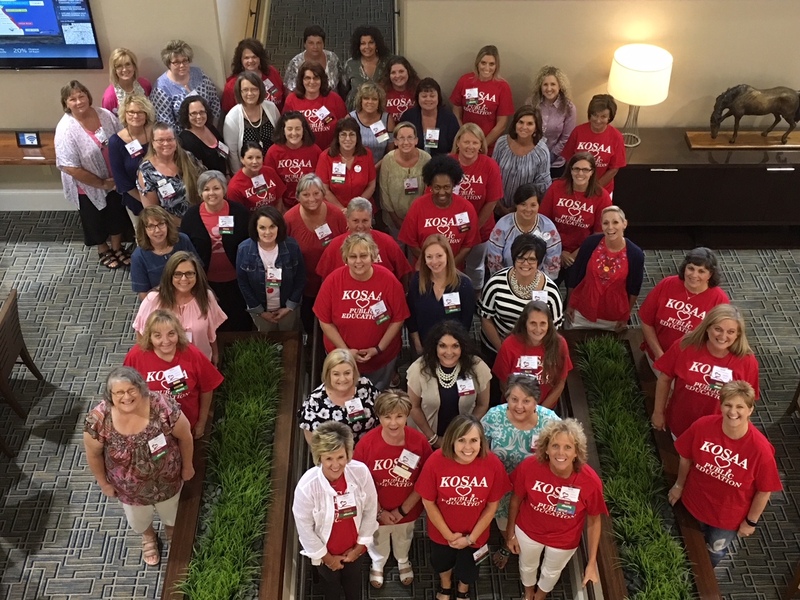 KOSAA members gathered for a group photo during the 13th Annual KOSAA Summer Conference (Lexington). The Kentucky Organization of Superintendents’ Administrative Assistants (KOSAA) was organized in January 2006 and is open to all individuals who serve as administrative assistants or secretaries to the superintendent, deputy/assistant superintendent or board of education in a Kentucky public school district. No membership fee is required. To develop communication tools to encourage sharing of quality information. KOSAA meets twice each year in conjunction with the KSBA winter and summer conferences. In addition, each fall KOSAA regional meetings often are held in conjunction with KSBA regional meetings. From the Professional Assistants Academy to the Mentoring Program, KOSAA offers a variety of opportunities to build proficiency, professional confidence and expertise. "KOSAA has helped me so much in getting in front of people … still not real comfortable at this … but better than I used to be." "I have learned so much from being a part of this group. I just want to share the wealth (of knowledge)." After you click on the link above scroll down the list and look for the KYOSSA button on the left side of the page.